Are you looking for a job and wondering whether you’ll ever find the right one for you? Having a job you enjoy can make a lot of difference to your overall happiness. Perhaps you used to love your job, but the ‘honeymoon period’ is starting to wane. By taking another look at things you’re already doing, you might improve your chances of getting a job you truly want, or enjoying the one you currently have. When you’re job-hunting, you’re essentially acting as a ‘merchant’ of your skills and abilities. Your future employer is the ‘buyer’ and your curriculum vitae (CV) is the shop floor they can wander around to see if what you’re ‘selling’ as a prospective employee takes their fancy. Getting your CV right can take quite a few drafts, especially because the popular notion of what makes a CV ‘good’ can change from year to year. That’s why it makes sense to review your CV at least once a year, even if you’re not looking for a new job. There are loads of websites that offer help with writing a killer CV. For a start, the BBC’s CV help has some good tips, as does learndirect. There are even sites with templates, samples and examples of bad CV formats. Remember to check UK sites rather than American ones, as some British employers can find the American-style CV (or resume) style a bit irritating. It’s worth taking the time to customise your CV and your covering letter to each potential employer. Tailoring your approach shows that you’re putting the effort in to understand the role you’re applying for. An easy way to get to know an employer is to read the ‘About Us’ or ‘Working with Us’ pages on their website. Talking about what you’ve gleaned from these pages shows the employer that you’ve been doing your research, which is bound to make a good impression! Do you easily get flustered when someone asks you a question out of the blue? Work on your interview technique by getting a friend to give you a mock interview or two. Ask them to be honest about how you come across and what you could do better. Employers tend to base interview questions around the job description and the experience they want from their applicants. Think about how you’d answer questions about these subjects in advance. It reduces the chance of being tongue-tied later! You can also find great interview tips on Guardian Jobs. Penny Golightly wrote a blogpost for MoneyAware on how to prepare for your interview. Make sure you give it a read. Does even the word ‘networking’ make you cringe? You’re not alone. That image of people dressed in starched suits, standing around in a drafty room and making stilted conversation while shunting business cards at one another is hardly appealing. Fortunately, the definition of networking is changing all the time. If you boil it down, what’s networking other than getting to know other people and making a good impression? You’d probably aim to do that at any social gathering. First things first, get yourself some business cards printed up. You can get a few done relatively cheaply on Moo.com, and always ask new people at networking events for their business cards. Most towns and cities will hold a Jobs Fair at some point during the year. These are great for finding jobs in retail, office admin, recruitment and the hospitality industry. Many people find a job through family, friends and their wider social circles. Why? Because people like to work with people they like. Some would say that’s unfair, but it’s basic human nature. If you’re a nice person who creates a positive atmosphere, people are more likely to remember you fondly. When it comes to social situations, it’s not just about what we say, but often what we don’t say, too. Non-verbal cues such as body language counts for over half of the impression we make on people. There are plenty of free videos on YouTube that can show you how to conduct good body language in social settings. At the end of the networking event, ask for the person’s business card and give them yours. Once you get home you can email them, telling them how great it was to meet them and asking if they’re hiring or know anyone who is. You’re more likely to get the response you want now than when you first met them. Even if the person never gets back to you, it doesn’t matter. You had the chance to sharpen your communication skills, which is priceless! If you hate social functions, don’t worry. You can still network effectively from the comfort of your computer. By joining LinkedIn, you can connect with lots of people and check out the jobs section every day. Make sure your LinkedIn profile is as good as you can get it, too. If you’re not sure how to do that, just look on YouTube to find all sorts of videos of people explaining how to maximise your LinkedIn profile. It’s also worth joining Twitter and LinkedIn so you can follow useful people in your work sector. Interact with them on things that are relevant to them as a person, not just as a potential recruiter. Everyone else will just be focused on what they want, but you know better and this can help you stand out. Do I need a new DBS check? Is my first aid qualification current? What other skills are relevant to the job I want? How can I improve? It depends on your sector what qualifications and training you need. Check online to see what the latest requirements are and if you can fit some training in. There may even be some relevant courses you can do for free. Spending your free time volunteering can have lots of benefits. You could work for a charity or visit elderly people or help at a local school. Whatever you do you will be getting you out there, keeping busy, and learning new skills. What’s more, voluntary work in any field is an example of your compassionate nature – always a good bullet point for your CV! Do-it.org is a fantastic resource for finding volunteering vacancies in your local area. Perhaps you once loved your job, but things have gotten a little lacklustre lately. A change of perspective could make all the difference. Are conditions at work making you unhappy? You have the right to voice your concerns to your manager or HR department. Citizens Advice has a handy guide on understanding your basic rights at work and what you can do if they’re not being met. Are you feeling bored? Tell your manager that you aren’t feeling challenged in your current role. Ask if they can help your development in some way. Are your colleagues looking a bit down? Doing your bit to boost morale can help make work nice for everyone. Talk to them and see if you can arrange regular social events; it doesn’t have to be anything expensive. Even a team coffee on a Wednesday evening can be fun. Start a book swap club or arrange a movie night at someone’s house. Take a look at the Awareness Days website and see if you and your team can get involved in any fun events (if you can raise money for charity, all the better). Focus on what you do like about your job: Are your customers friendly? Do you get access to work benefits? Are you making the most of them? Is your job near a nice park you can spend your lunch hour in when it’s sunny? Keeping these good aspects of your job in mind can help you, even if you still ultimately want to move on. Download this free ebook with 49 great ways to get a job. It has many tips on getting a job from how to improve your CV, how to find the right job for you, how to get free training to improve your job prospects and where to go for careers advice. 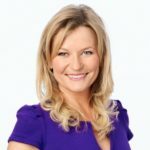 Jasmine Birtles runs MoneyMagpie.com, the leading UK website for money-making ideas. Sign up to their free newsletter here.